One of my friends went to Coachella this year and I thought it'd be fun to do my nails with a Coachella theme. I started by applying +Nail Experiments - Easy Peel Latex Barrier around all my nails. I sponged on a gradient of Beyond the Nail's Biscotti & Crème de Menthe three times on each nail. 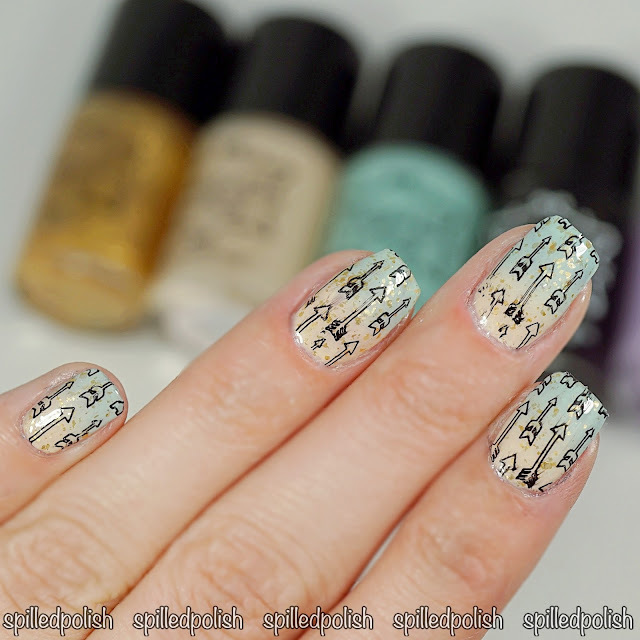 I peeled away the latex barrier and added Beyond the Nail - Gold Flake Topcoat to each nail. 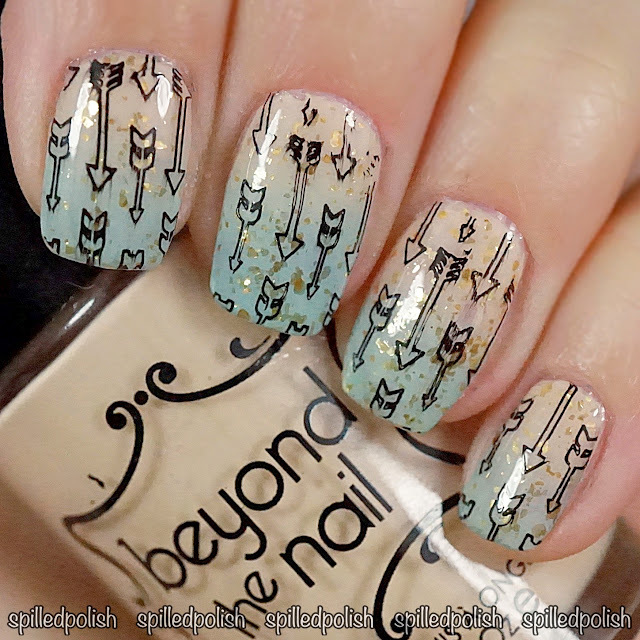 When everything was completely dry, I stamped on an arrow design using Bundle Monster - Stamping Plate BM-606, my Clear Nail Art Jelly Stamper, and Beyond the Nail - Deep Black. I topped each nail off with one coat of PRO-FX - Quick Dry Topcoat.